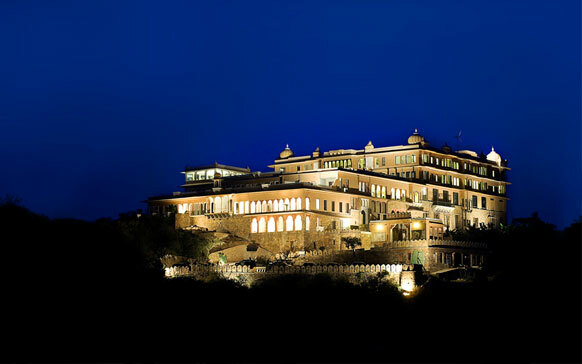 Featured in the top 12 recommended Hotels to stay at in Rajasthan, and with it’s architecture inspired by the style of Rajput, this Heritage Hotel makes your wedding experience a royal one. 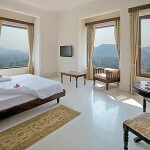 Hotel Fateh Garh Udaipur is perched on a hill within the very heart of Lake city Udaipur, in the Aravalli ranges, with 360° commanding views, welcomes guests with style and traditional fanfare in this heritage palace. 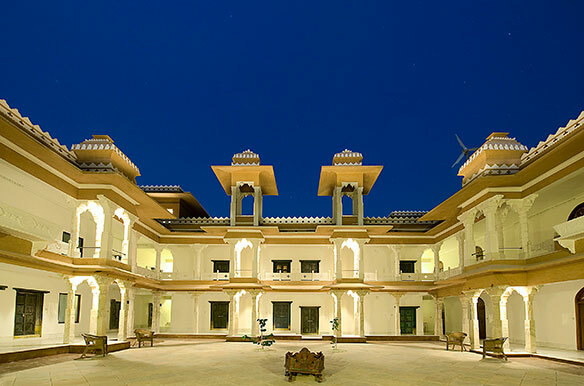 Hotel Fateh Garh is based on Vaastu principles which are vedic architectural style for balance and harmony of natures forces. 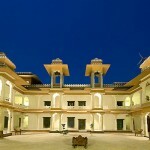 It has been divided into various sections, the spaces referred to as the Mardana Mahal, bold and exhibitionist – traditionally, the palace of the gentry; and the Zanana Mahal, intimate and delicate – traditionally, the palace of ladies. 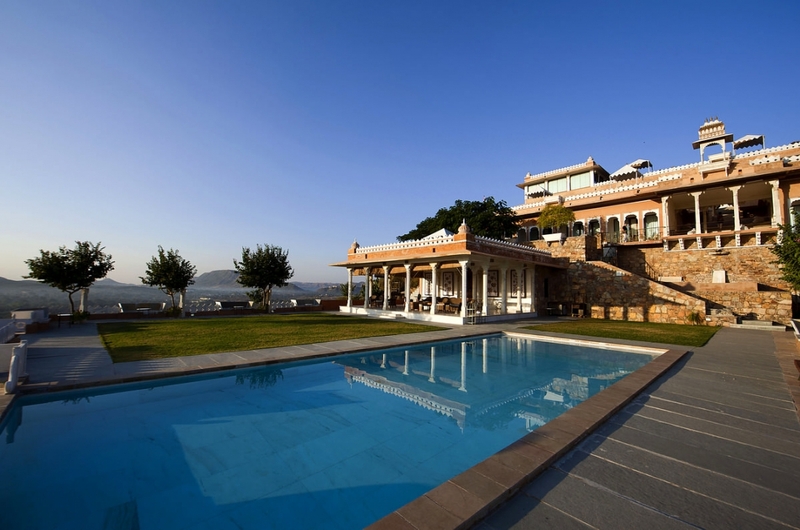 This heritage property in Udaipur, having 48 rooms, offers it’s guests a luxuries, spacious and a peaceful refuge from the chaotic urban India. 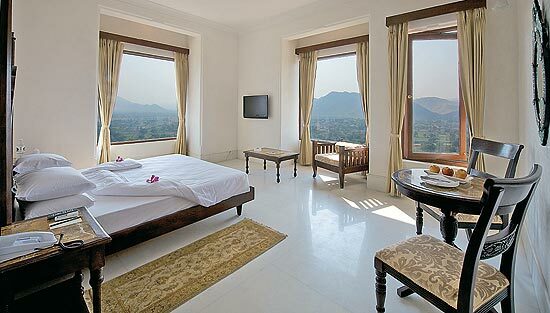 The architecture of the hotel is worth marveling. The larger than life gates of the hotel made up of recycled wood, makes it environmental friendly. 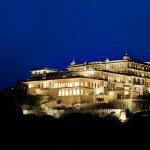 Everything at Udaipur Hotel, Fateh Garh Palace has been designed and executed to revitalize the environmental, cultural and spiritual heritage of the past. 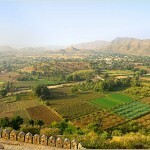 On the premises they have indigenous breed of a pet dog, cats and horses which would add to the experience of the local flavors. 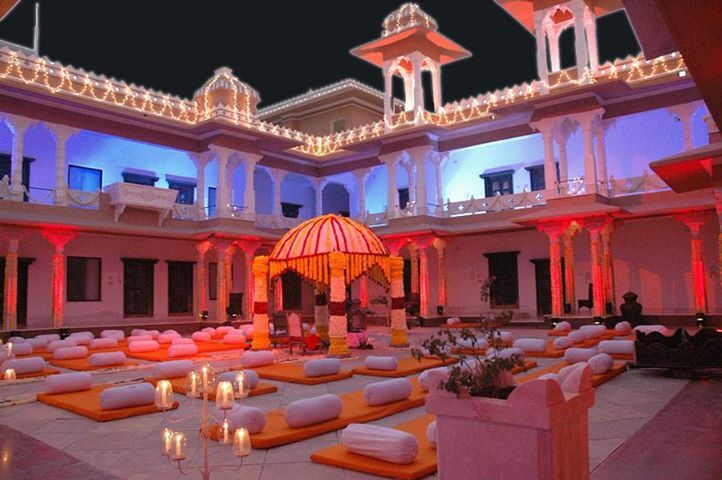 Therefore, Hotel Fateh Garh is best example to experience the Rajasthan Culture and Tradition and a wedding here is bound to be a Royal affair. 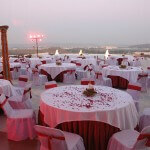 The Conference Room- This indoor venue has a capacity of 150 people and is suitable for social gatherings. 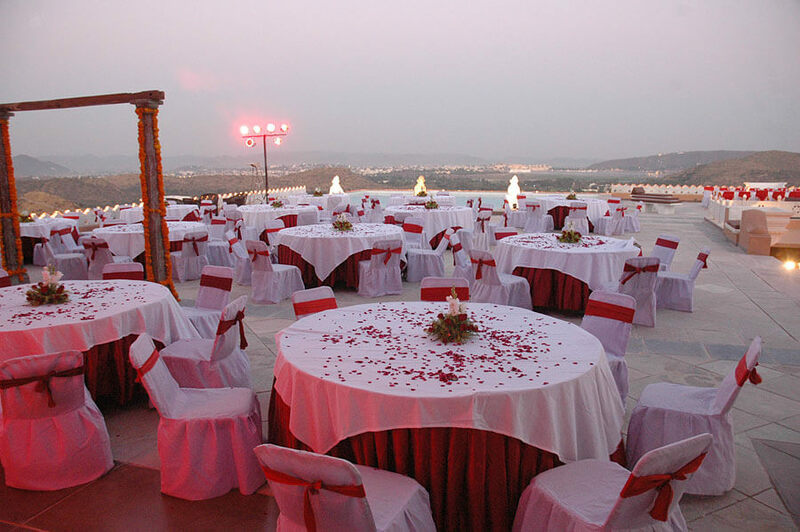 The Middle Terrace- Offering around 4800 sq ft of lush green space this venue can hold up to 150 guests. 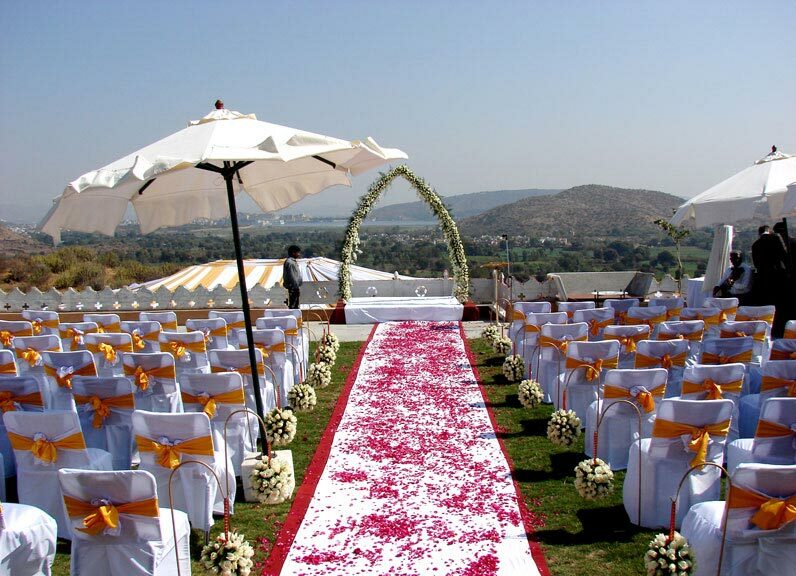 Jaibagh Terrace- Having a capacity of 250 guests and surrounded by a pool and an open deck area is perfect for holding a wedding. 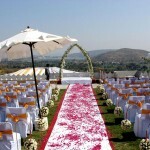 Barabari Terrace- This is the largest and most beautiful outdoor venue and it holds up to 300 guests. 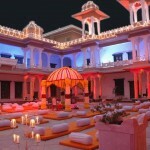 This venue has a pool area and an open deck area.